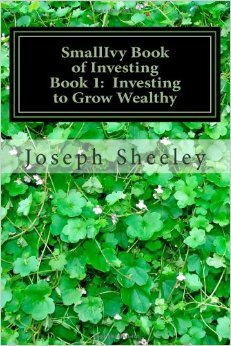 Growing wealthy is all about buying assets. Assets are things that pay you money, such that you can increase your earnings by purchasing them. Get enough assets in your portfolio and they can replace your paycheck so you can retire early (or allow you to keep working and make twice as much). The old adage goes that “Your home will be the biggest investment you ever make.” We are told (by broke people) that we should buy all of the home we can afford, taking out the biggest loan we can get. A big home, however, has big costs for heating and air conditioning, lawn and yard care, paint, roofing, and flooring. It also has more windows to replace and more of everything else. Don’t forget also that you will pay property taxes every year and you will pay more if you own a big, expensive house. If you buy a modest home you will probably come out ahead of where you would be if you were renting, but in the end the amount of money you put into the home will be more than the amount you get out of the home. If you are paying a mortgage, you’ll pay for the home two to three times over before you officially own it, making it even more difficult to come out ahead. A home is a necessary evil, not an asset. Buy the smallest and least expensive home that meets your needs. Sounds great, you get a nice little place on the coast or in the mountains and then rent it out most weeks, using the rents to pay for the mortgage and upkeep and then making money on the appreciation. Plus, you get to stay there for “free” whenever you want. The trouble is that it won’t be rented most of the time (except for the weeks when you want to use it), there will be lots of repairs because so many people are using it who don’t really care, and you’ll need to pay people to clean the place and handle the renters if you don’t want a second full-time job. You’ll also have all sorts of family that will want to use the place (for free) and then leave it a mess. You’ll generally find you’ll do a lot better just investing the money and then renting a place yourself when you want to get away. 6. An Ivy League education. Surely going to Harvard is worth the money, right? Wrong. Figure out how much you could have made investing that $35,000 per year and you’ll find there is no way you can make enough more in a job to justify an expensive private college. Besides, with very select exceptions, most employers care more about what you know than where you got that knowledge. If your parents have millions of dollars to spare, go to Harvard. If not, State U will be just fine. Many people see a car as an asset, and you can sell it and get some of your money out of it, but unless you are trading cars very rapidly and great at finding deals, you will not get more out of a car than you put into it. If you buy a new car, you might save a tiny amount on maintenance over time, but you are losing a few thousand dollars the instant you sign the papers. You could make a $400 repair once a year or you can pay $400 every month in car payments. With cars, buying used definitely makes more sense. For every four years of age a car has, the amount you lose each year in depreciation decreases by half. A new car will cost you $3,000 per month in depreciation. A four-year old car, just $1500. An eight year old car, only $750. How many people buy a new car every couple of years and then wonder why they don’t have any money to invest? Just buy a four-year old car instead and you have $15,000 per year extra to invest, even if you put $3,000 in repairs — the cost of a transmission failure — into it each year (which you won’t). Many people see clothes as assets, and they should be with the amount we spend on them. You’ll have trouble getting $2 for a shirt that cost $50 new, however, even if you only wore it twice. You may need to buy nicer clothes for work, but buy the minimum you can get away with. You are throwing money out the window with every stitch. Many people see a credit card as an asset and keep one around in case of an emergency. Have a couple of emergencies, however, and you’ll soon find yourself paying thousands of dollars in interest each year. Cash is much better for emergencies. A boat is said to be a hole in the water you throw money into. Boats are even worse than cars because they have the depreciation of a car but also need a lot more maintenance. Unless you are planning to be on the water every weekend, you’ll be better off renting boats (or borrowing one from a friend who owns one but never seems to make it down to the lake to use it) when you want to hit the water. Probably the only thing worse than a vacation home is a time share. All you get is the right to use the place one week a year, often for an additional fee, and in exchange you’ll need to pay constant maintenance fees. They are also impossible to sell. There is a reason they give you free stuff if you’ll listen to a time share pitch. Just rent a place when you want one – many time share communities even rent out the unsold timeshare units at a substantial discount since otherwise they’d sit vacant. The more of these “assets” you have, the less likely it is that you will become wealthy. Instead, avoid them for now while you are building wealth. You can pick up that second home or that fancy car when you are wealthy. At that point the cost will matter little because of your income will far exceed the amount those “assets” are costing you. Read this article on what not to invest in. Should be called Investing Myth Busting. I’m trying to figure out if you’re saying that timeshares are a good business for the resorts that sell them or the people who buy them. I’m sure that the resorts can make money selling them, especially since they have people on vacation when they tend to be spending money freely and not really thinking about it, but I have never heard of anyone who just loves their timeshare. Most of the people I’ve ever met are trying to get rid of them so they won’t need to keep paying the maintenance fees and because they are never free on the week they need and aren’t able to trade like they thought they could. Thanks for reading and for commenting. I hope to hear from you in the future. I love it. I especially agree with you about the House and Car. It is very difficult to convince homeowners that their house is not an asset within a couple of paragraphs. I feel like you could write an entire article on that subject alone. Maybe I will as well haha..
Hey, the more people spreading the word, the better.